Canvas awnings can serve as a great decoration for the sunshade portion of your home. This is a unique addition that can make your patio, garden and your house as a whole even more attractive. The fabric we offer is strong and durable and lasts for years. With many colours to select from to match your landscapping ideas. we can garentie that they can protect your property from direct sun rays, UV rays, humidity, rainwater and other elements of the weather. 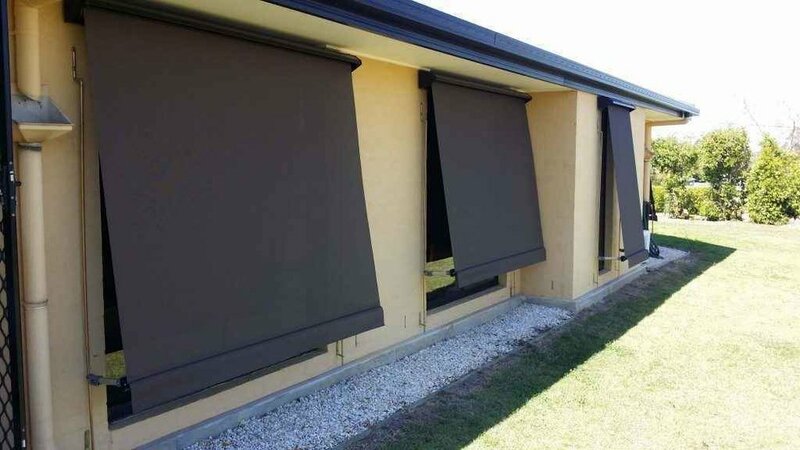 Outdoor blinds being one of the most cost effective ways to protect and insulate your home. Blocking a lot of the sun's heat out, keeping your home cooler in the summertime.